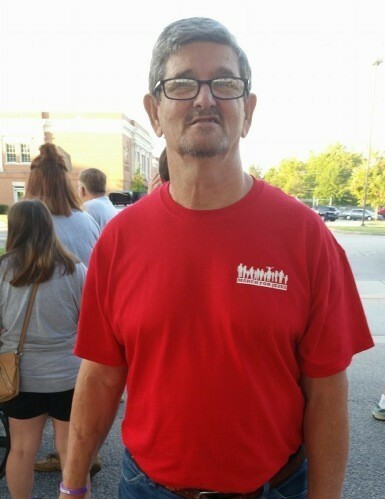 Thomson, GA – Mr. Meyers Eugene “ Gene” Poythress, 70, entered into rest at his residence on Sunday, July 29, 2018 surrounded by his family. Mr. Poythress was born and raised in Savannah, GA, but had lived in Thomson for the past 4 years. He was the son of the late Dallas Poythress and the late Allene Stone Poythress. After high school graduation, he served as an air medic in the United States Air Force during the Vietnam War and then continued his career with the Air Force for 21 years until his retirement. Following retirement, Mr. Poythress worked in the sheet metal industry and was handyman. Due to his love for singing, it was not unlikely to hear Mr. Gene singing on WTHO some evenings. Mr. Poythress was involved in a nursing home ministry and a member of the Christian Motorcycle Association. Survivors include his wife, Glenda Poythress; son, Kevin Poythress (Lindsay) of Clyo, GA; daughters, Kristal Groover (Scott) of Rincon, GA, Mary Ann Hutcheson (Steven) of Guyton, GA; stepdaughter, Patricia Lynn Newman Thayer (Timmy) of Dearing, GA; brothers, Tommy Poythress of Grovetown, GA, Ronald Poythress of Maryland and Donald Poythress of Arkansas; and 9 grandchildren. Funeral services will be held at 2 p.m., Wednesday, August 1, 2018 at Norris Chapel Biblical Holiness Church with Rev. Jimmy Richardson and Rev. Tony Henderson officiating. Interment will follow in the church cemetery with full military honors. The family will receive friends from 1 until 2 p.m., Wednesday prior to the service at the church. Beggs Funeral Home, 799 Cobbham Rd., Thomson, Georgia is honored to serve the Poythress family.